Mental Health treatment following a traumatic event can mean the difference between effectively coping and simply “avoiding” negative thoughts and feelings. Avoidance is a common strategy in dealing with negative events and may seem quite useful in the short-term. Unfortunately, the long-term consequences of merely “avoiding” often include increased anxiety, depression and other Post-Traumatic Stress symptoms. 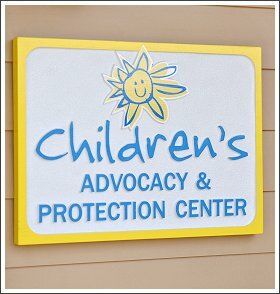 Catawba County CAC offers on-site mental health services to children and their families that have been served at the CAC. The focus of treatment is to provide education regarding abuse/traumatic events and potential traumatic symptoms; improve coping strategies for managing negative thoughts and feelings; actively process the traumatic event and address personal safety issues. Parents/caregivers and children learn the same skills so that parents can support and reinforce their children’s use of skills outside of therapy. Enhancing parenting skills and improving communication within the family are also goals of treatment. It is important that parents learn to manage their own thoughts and feelings regarding the abuse in order to support their children’s healing. Trauma-Focused Cognitive Behavioral Therapy (TF-CBT) is an evidenced-based treatment approach that is used with clients with significant behavioral or emotional symptoms following a traumatic event. Treatment goals are developed following an initial assessment of needs and discussion of needs/concerns with both the child and their parent/caregiver. Our hope in providing mental health treatment is that children can regain power through gaining knowledge and specific skills to manage the potential consequences of traumatic events. Our belief is that with appropriate treatment, abuse/traumatic events can be a wound that heals without significant ongoing negative impact to the child or family.